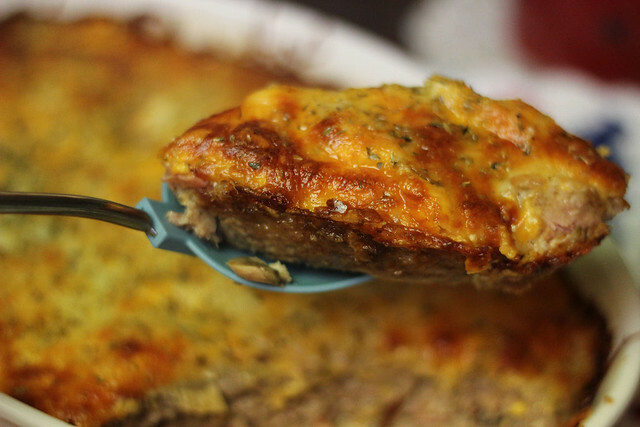 I make a different kind of meat pie using pastry, but this one came from one of my favorite Portuguese food blogs Bem Bons. Preheat oven to 375 degrees. 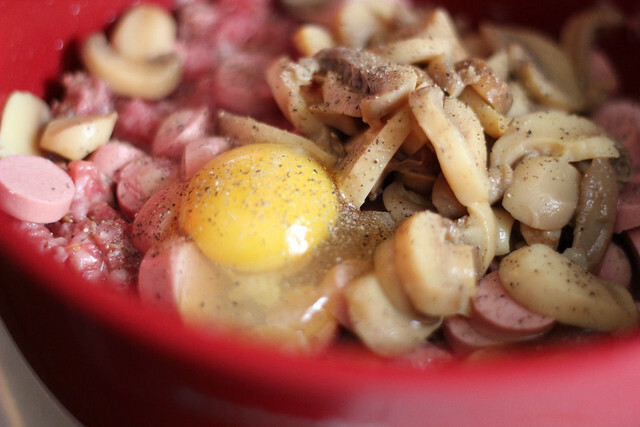 In a medium bowl combine the meats, onion soup mix, eggs, pepper, sliced sausages and mushrooms. Pat into a greased baking pan. 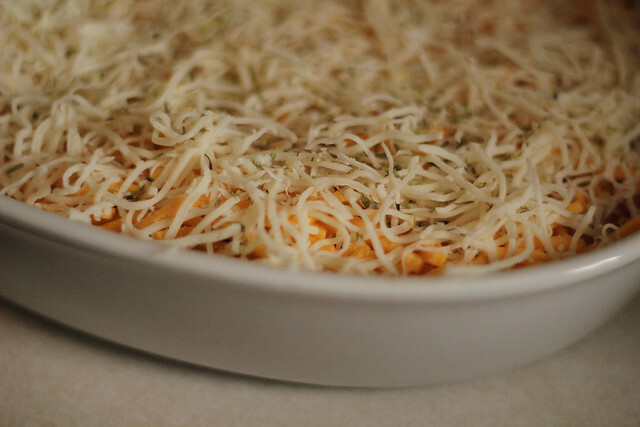 Top with shredded cheese and sprinkle on some oregano. 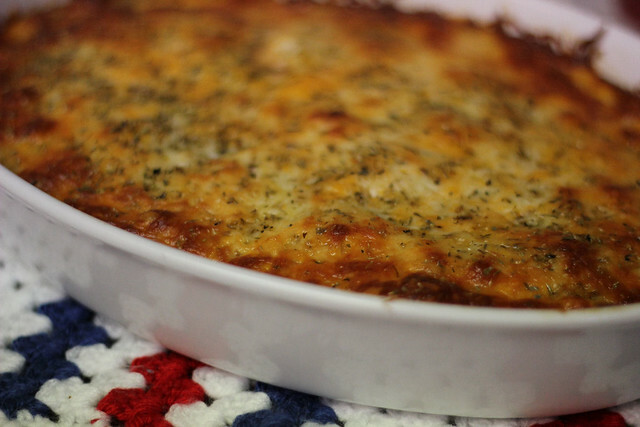 Bake for 30 minutes or until meat is cooked through and cheese is melted and brown. 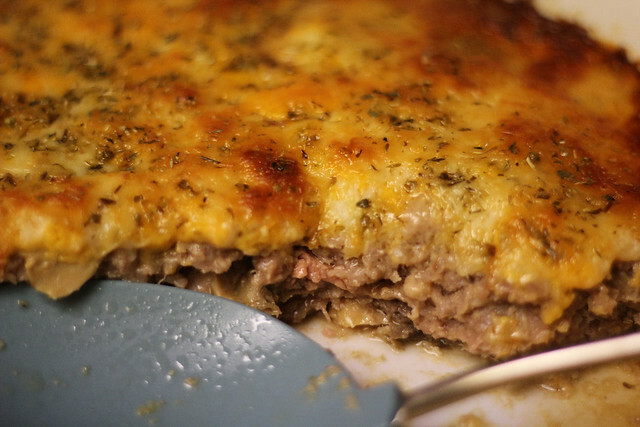 This looks good and hearty. I never knew people actually ate vienna sausages.